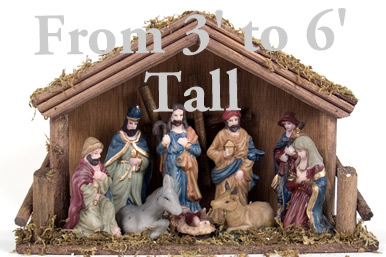 Full Nativity Scene Cardboard Cutout Standup Prop - Dino Rentos Studios, INC. Here is the complete nativity scene. Self standing cardboard cutout, ready to display. This is a one piece flat cardboard cutout standup.